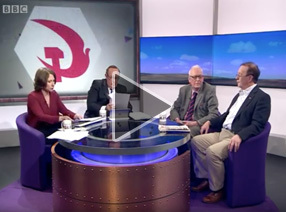 From the Communist Party's Unity! Bulletin. Go to https://issuu.com/communist_party/docs/unity__july_gala__2018 for full publication. The Communist Party of Britain sends solidarity greetings to the Durham Miners’ Association and all participants in the 134th Durham Miners’ Gala. The Big Meeting has always been a great day out, and a celebration of the best of working class culture, values and traditions - solidarity, community, support in adversity and the fight for justice, a decent life and social progress. Welcome to our web site. 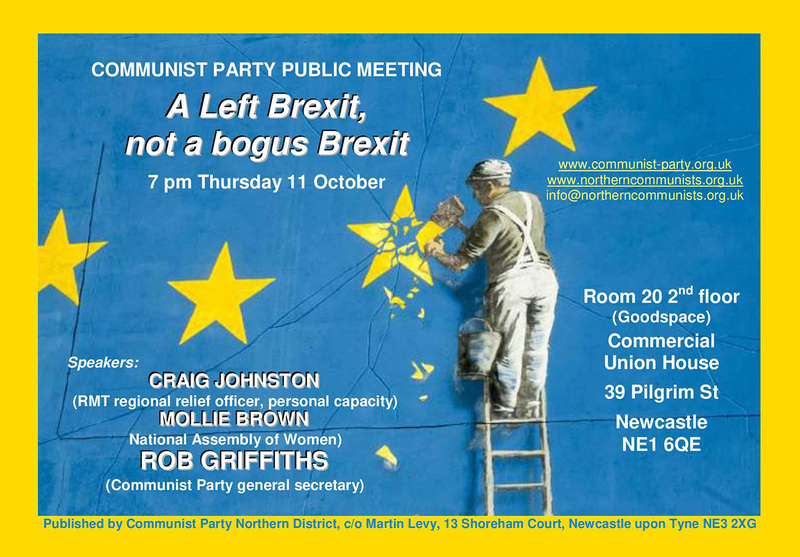 We are an integral part of the Communist Party of Britain, campaigning and organising among working people in Northumberland, Tyne & Wear, Durham, Cleveland and Cumbria. We hope you find the site interesting. 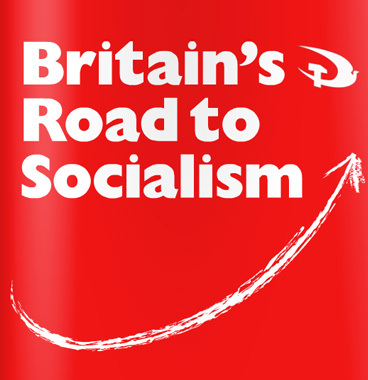 After you have visited, you may wish to check the Links page for other local Communist Party web sites, and for important labour and progressive movement connections. We are proud of the strong working class traditions of our region and of the contribution that communists have made in fighting for the interests of working people locally, nationally and internationally. 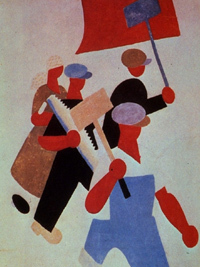 Since its foundation in 1920, the Communist Party has been at the forefront of the great struggles of the day. This has not been a struggle without cost. In the Spanish anti-fascist war, communists and others went from this region to fight in the International Brigades, and some, tragically, gave their lives. During the Cold War, communists became the victims of red-baiting and smears threatening their livelihoods.